In Match 27 of VIVO Indian Premier League (IPL 2019), Mumbai Indians (MI) will host Rajasthan Royals (RR) at Wankhede Stadium in Mumbai on Saturday. MI aim for another Kieron Pollard show while out of sorts RR will look to put their house in order after losing six out of seven IPL games. 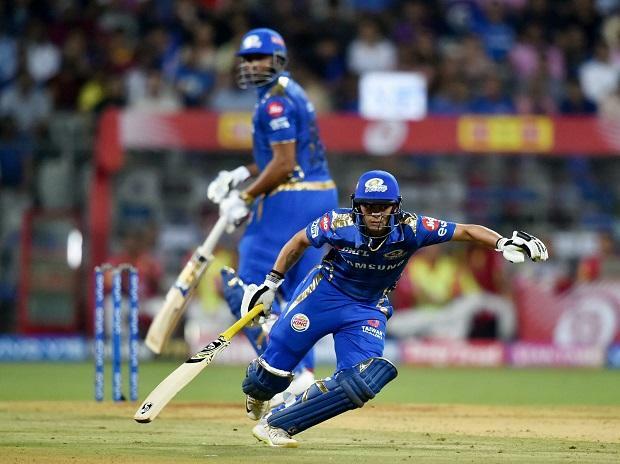 Mumbai Indians are placed at the third spot of IPL 2019 points table with four wins from six matches, while Rajasthan are languishing at the seventh position with a solitary win from six matches. Mumbai Indians’ regular captain Rohit Sharma is set to return after a leg spasm that forced him to miss an IPL game for the first time in 11 seasons. In his absence, stand-in skipper Kieron Pollard ensured MI continue its good run as his whirlwind 83-run knock and helped Mumbai to script a three-wicket win against Kings XI Punjab. The winning runs were hit by 22-year-old Alzarri Joseph, who has been the new sensation in IPL 2019. After a dream debut where he returned with best IPL figures of six for 12 against Sunrisers Hyderabad, Alzarri (15 not out) played a crucial cameo against Kings XI to romp the side home. Meanwhile Jofra Archer will look to continue his form as he bowled with great line and length and gave Rajasthan Royal a chance to defend 151 against Chennai Super Kings with a superb spell of fast bowling. Rohit Sharma's injury troubled India ahead of the ICC World Cup 2019, but Pollard has made it clear that the skipper missed MI’s previous game just as a precautionary measure and he should be back against Rajasthan Royals. "Obviously, Rohit is the captain of the team and it was only a precautionary measure for the team. He should be back in the next game," Pollard had said. Rohit's inclusion will not only put to rest any doubts about his fitness but also boost the Mumbai's batting line-up, which also comprises Ishan Kishan, Hardik Pandya, Krunal Pandya and ever-reliable Surya Kumar Yadav. Mumbai Indians have death overs specialist Jasprit Bumrah along with Australian pacer Jason Behrendorff apart from Joseph and on their day, they can rip apart any good batting line up. Rajasthan would be wary of MI's attack after they were reduced to a 53 for three by CSK last night. None of the batsmen could score a big innings with Ben Stokes emerging as the top-scorer with 28 runs. RR's batting line-up, including skipper Ajinkya Rahane, Sanju Samson, Steve Smith and Jos Buttler will need to pull up their socks to confront the Mumbai bowlers at the Wankhede Stadium. Archer had a decent outing against Chennai Super Kings and his performance would also be key. Rajasthan Royals pacers Jaydev Unadkat and Dhawal Kulkarni along with Shreyas Gopal and leggie Riyan Parag would have to deliver for their skipper if they have to stay alive and make it to the Playoffs. English all-rounders Ben Strokes, who was hit for a six by New Zealand's Mitchell Santner to seal the four-wicket win for Chennai, will have to come up with something special with both bat and ball. MI vs RR match live streaming will be available live on Star Sports 1 HD, Star Sports 1 in English Commentary and Star Sports 1 Hindi, Star Sports 1 Hindi HD in Hindi Commentary. One can also live stream the MI vs RR 2019 IPL match on Hotstar app and Tatasky app. The fans can also watch in-depth analysis of live match on Star Sports Select 1, Star Sports Select 1 HD. MI squad: Rohit Sharma (C), Quinton de Kock (WK), Suryakumar Yadav, Yuvraj Singh, Kieron Pollard, Hardik Pandya, Krunal Pandya, Mitchell McClenaghan, Jason Behrendorff, Mayank Markande, Rahul Chahar, Jasprit Bumrah, Alzarri Joseph, Anmolpreet Singh, Siddhesh Lad, Ankul Roy, Evin Lewis, Pankaj Jaiswal, Ben Cutting, Ishan Kishan (wk), Aditya Tare, Rasikh Salam, Barinder Sran, Jayant Yadav.